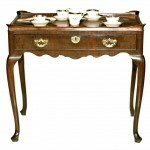 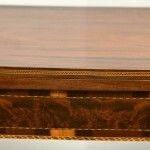 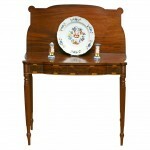 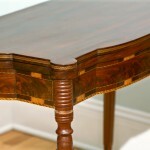 Beautifully proportioned table with hard dense mahogany on the top. 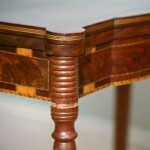 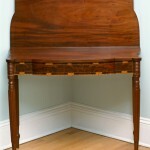 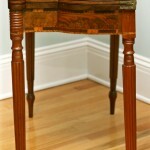 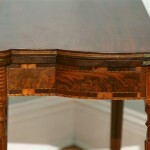 Turned and reeded legs, inlay on edge of top and on the frieze. 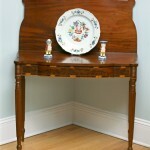 Probably made in Southern New Hampshire or coastal Massachusetts. 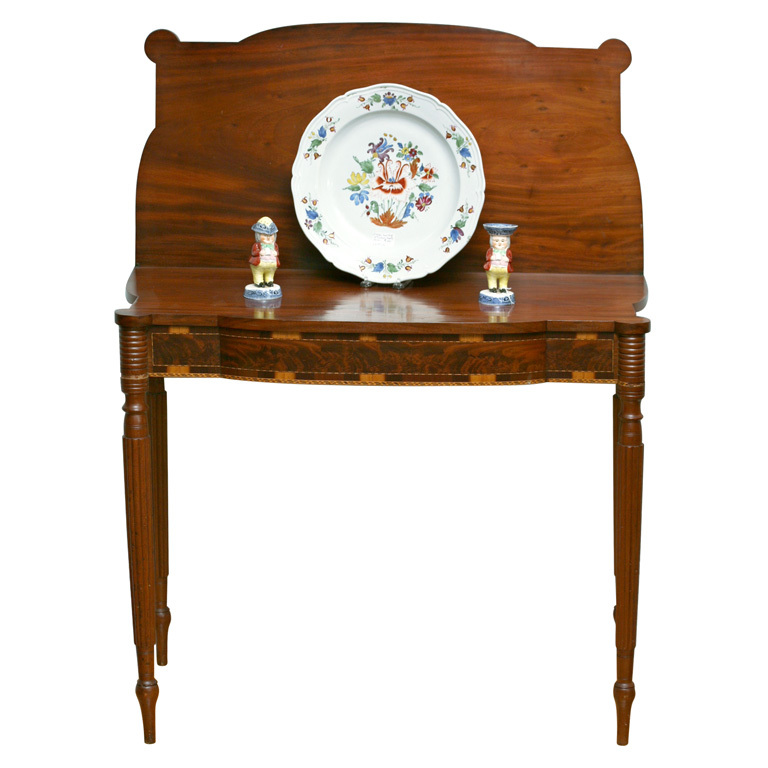 Very good antique condition, however most of the inlay band on the top of the front legs is missing other wise just the usual dings and stress cracks. 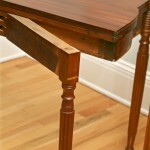 Sturdy with a pleasing mellow finish.